A study published Monday in the journal Neurology has found that medical marijuana could help ease multiple sclerosis symptoms. The study found that taking the drug in pill or oral-spray form can help to reduce stiffness and involuntary spasms, and the pain that can come with those symptoms. Medical marijuana can also help with frequent urination, the study found. Researchers examined a whole range of complementary or alternative medicine therapies often used by those who battle MS, including bee sting therapy, gingko biloba, magnetic therapy, omega-3 fatty acids and reflexology. They reviewed 2,608 studies on these therapies to determine which might be effective in alleviating MS symptoms, and discovered that the pill or oral spray form of medical marijuana provided the most evidence that it could help. Still, don't light up just yet: The report states that there isn't enough research to determine whether smoking the drug would have the same effect. Although medical marijuana in these forms did help with a range of symptoms, it appeared to have little effect on reducing tremors or urinary incontinence. There were also several negative side effects associated with using this therapy — including dizziness, drowsiness, loss of balance and cognitive issues. The results of the study have helped to form the basis of new guidelines on alternative treatments for MS from the American Academy of Neurology. More than 2.3 million people worldwide suffer from MS, for which there is no known cure, and it's thought that between 33 percent and 80 percent of them use some kind of alternative therapy to help alleviate the often debilitating symptoms of the disease. 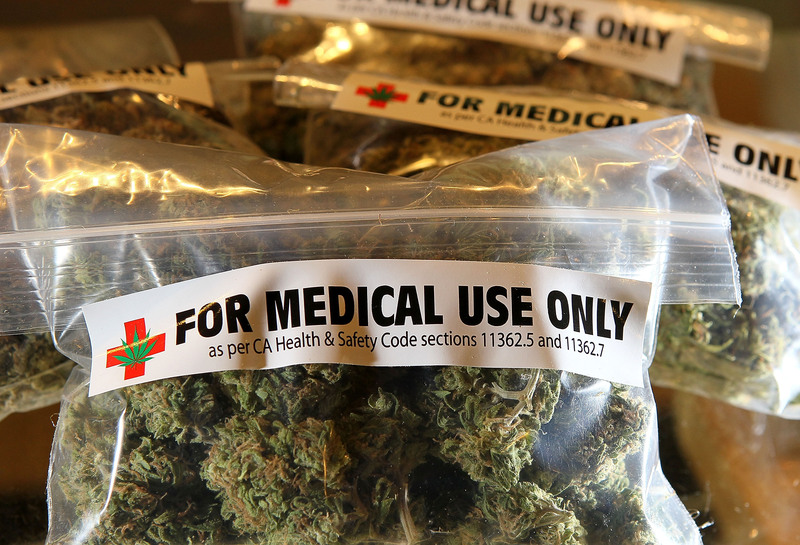 Although medical marijuana use is currently legal in 20 states and the District of Columbia, the drug in pill form is currently only approved for treating loss of appetite and nausea in cancer patients. A medical marijuana spray called Sativex is already available to patients in Europe, Canada and Mexico to treat spasticity in MS patients, but in the U.S. the drug in this form is unapproved. The lead author of the new guideline, Dr. Vijayshree Yadav, expressed her opinion that research into the uses of medical marijuana was constantly being held back by the federal government. The National Institute on Drug Abuse has blocked many studies on the effects of cannabis because it has a mandate from the federal government to study the substance only as a substance of abuse. This is why there's inadequate data so far on whether smoking the drug can be an effective treatment for those suffering from MS. There's also a lack of information about the long-term safety of using marijuana pills or oral sprays, as most of the studies reviewed only lasted six to 15 weeks. The researchers found that bee sting therapy and a low fat diet high in omega-3 fish oils also had very little positive effect on symptoms. The same was found to be true for magnetic therapy and gingko biloba, although they were found to slightly alleviate tiredness.